A world wide phenomenon “The Selfie” has defined an entire generation of self portraits. 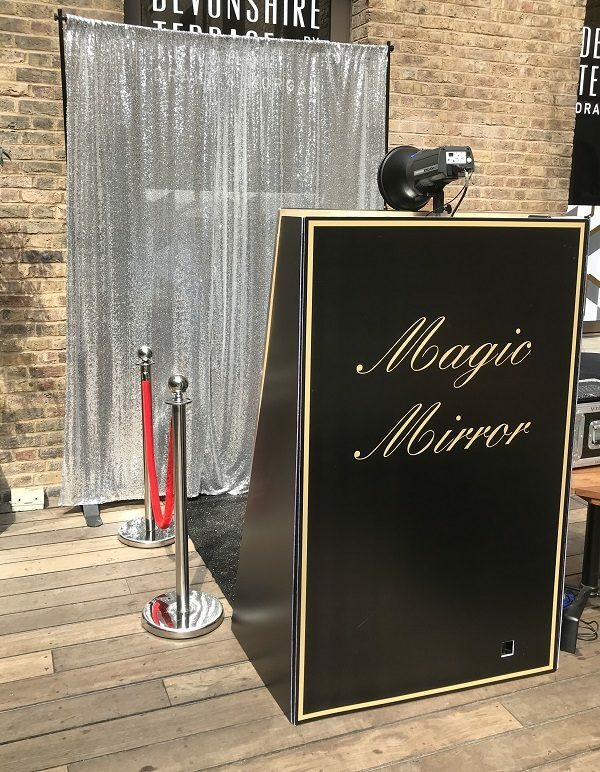 Our new Wacky Magic Mirror is a full length 5′ Mirror with a difference. 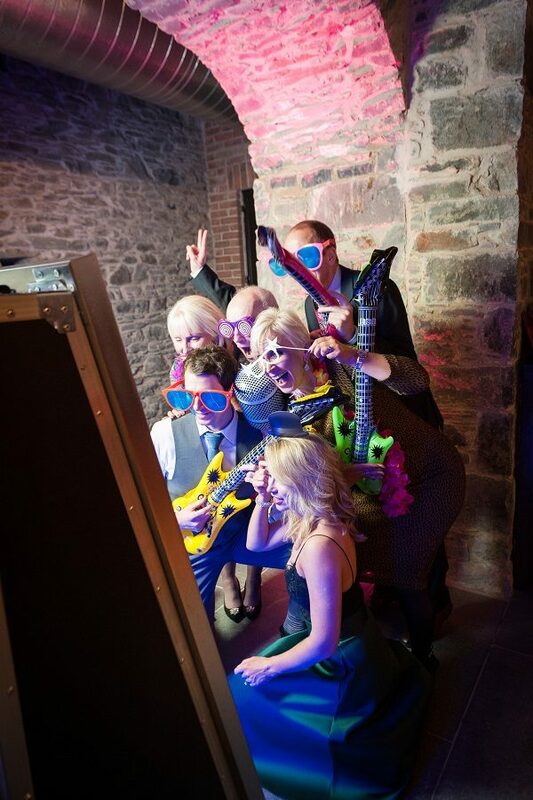 Hidden behind the Mirror glass is customisable Photobooth technology. 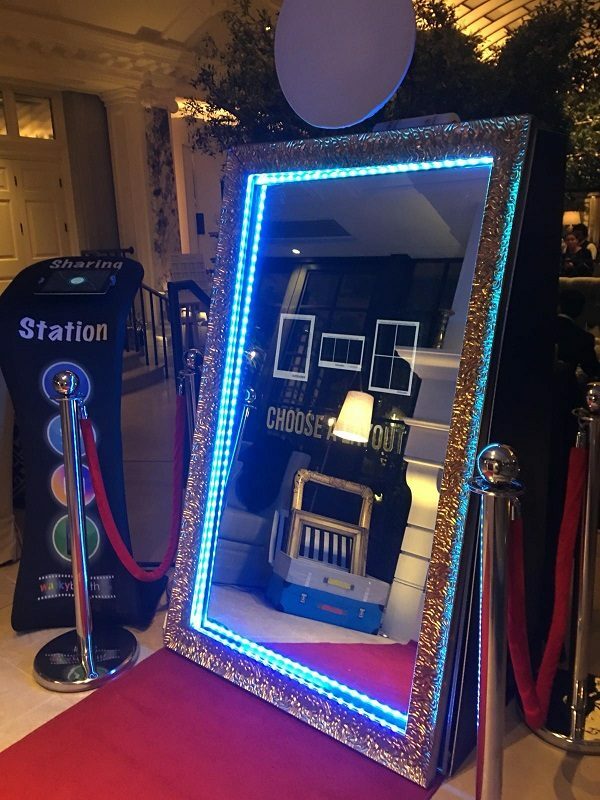 It can capture amazing glamorous & glitzy Images that not only compliments you on your looks but also allows you to sign your images on the Mirror with a personalised message or signature. 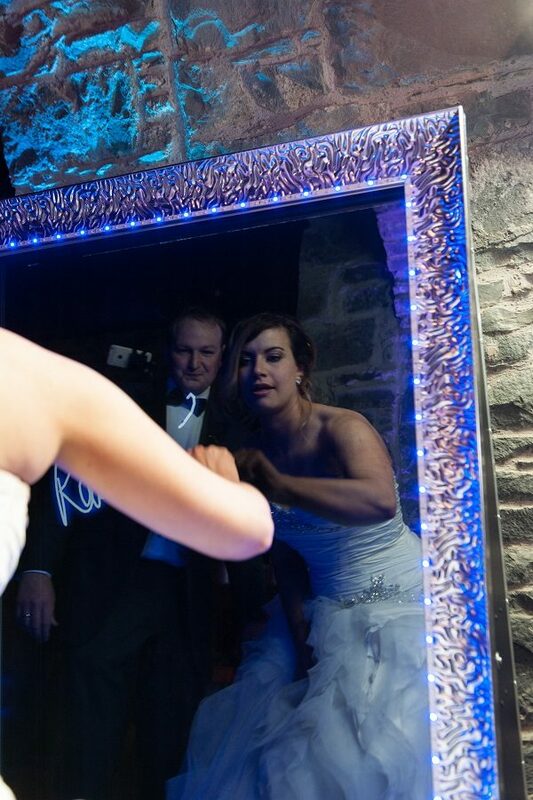 Our Magic Mirror is equipped with the very best SLR cameras & high speed printers to guarantee top quality prints everytime. Logos, event titles & company information can easily be set up and added to the images before the event by our Wackybooth team. 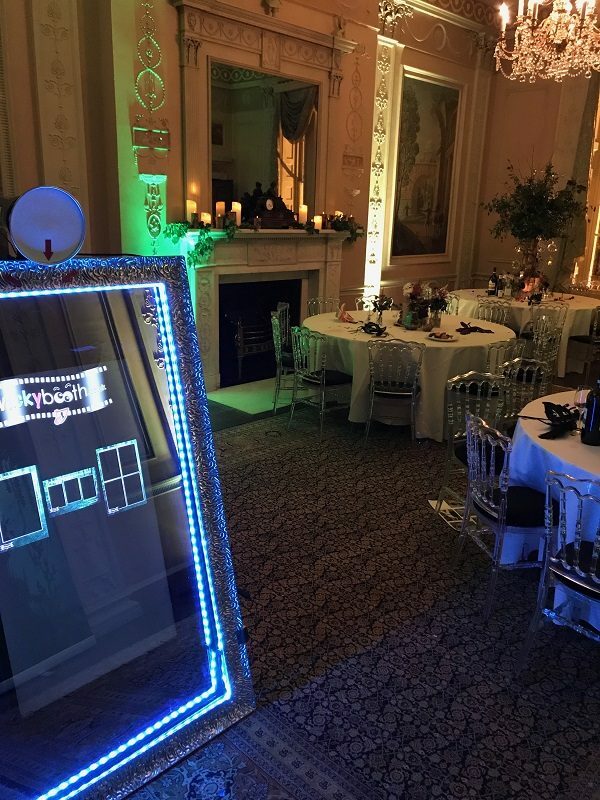 The process is easy – Guests step in front of the mirror & the excitement begins. Simply touch the mirror to start, strike a pose while the mirror interacts with you & prompts you to smile for your next picture. At the end of your photo session you can sign your name or a message on the screen which then appears on the bottom of your prints. 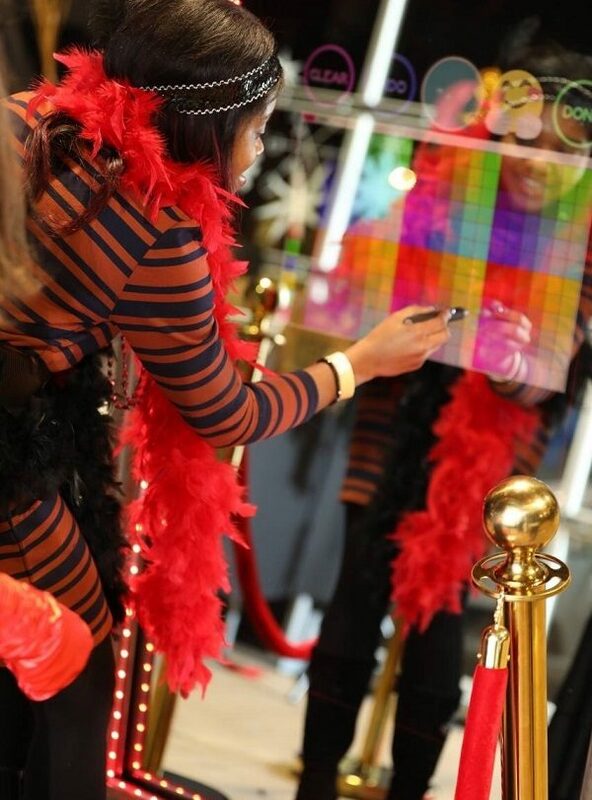 You can then use our Ipad Station to instantly upload your pictures to social media. 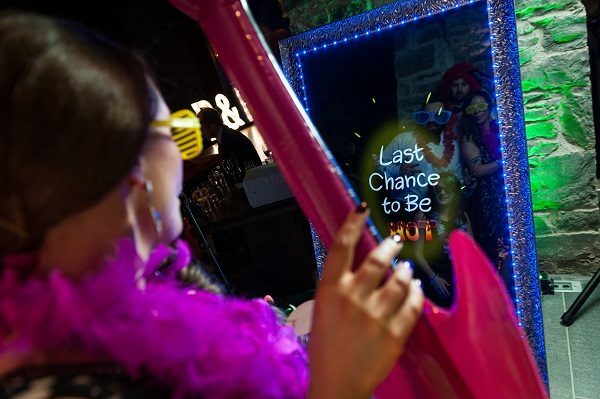 A Mirror that takes photos – Now that’s what we call our Wackybooth Magic Mirror.